I have sat staring at a blank screen for a while now… I am not sure what to write or where to begin. So much happens here in a short time… it is difficult to write about it all, never mind capture the feelings that go along with what we see and do here. I guess I will begin by telling you a story…..
A year ago, a young woman named Rachel was here with us… she met Marquito…. she felt a stirring in her heart for this severely disfigured & blind 2 year old boy…. Upon returning home Rachel began to feel more and more… she decided to do something…. she worked, she fundraised, she loved. She wanted this boy to have operations to fix him and give him a chance at a normal life… a life that we take for granted every single day. Several times over the past year, I did not have the heart to tell Rachel that Hermana Mercedes had written and Marquito was dying. I prayed… a lot. When I finally explained to Rachel how ill Marquito was, and that it looked like he might not live, never mind have operations, she simply began to work harder and pray harder to get more money to him so he could get better… Rachel showed a kind of strength and devotion to this boy that I find very rare… to her, he is a complete stranger… a boy who cannot even see her… but he is no different than any other boy and deserves a shot at life. It has been quite a beautiful thing to watch for the past year… And now finally, the day I had been waiting for had arrived… 1 year almost to the day since they first met, Rachel and all of us began the short walk to the Hospital. 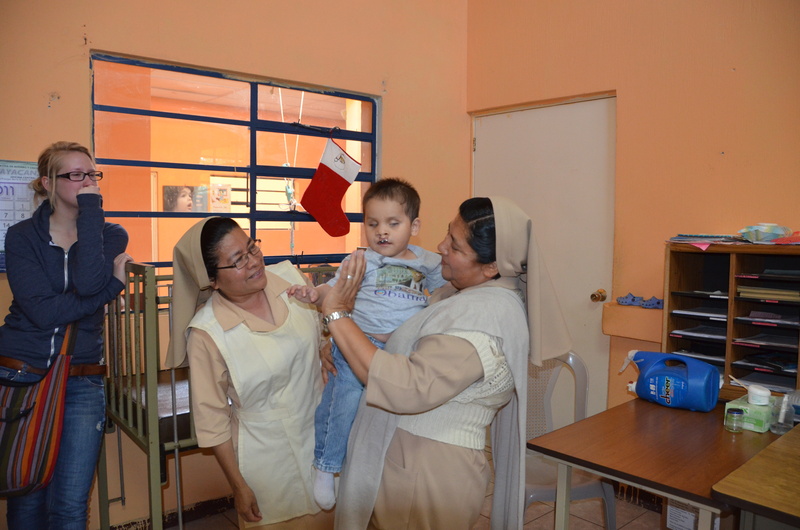 It was time to reunite this little blind, disfigured boy with the young woman that Hermana Mercedes calls “Marquito’s Protector”, or “Marquito’s Angel”. The reunion was a tearful one…. Quite honestly one of the most touching moments of my life here. I only have a few pictures of the reunion because I wanted to enjoy every second of it without the distraction of a camera…. Once tears began to dry, everyone got involved and together we played with this precious boy. We brought him a huge soft stuffed animal. He loved it…. I wish every one of you could come and meet this precious 3 year old boy who to us is a miracle. He is alive…. people see him and feel shock…. some even disgust… he is hard to look at. But once you get over the initial shock you realize he is a little boy with feelings…. he can smile… he can love. God created him and he is beautiful!!! There is a pure joy inside him that I have not seen in any other child…. it is hard to explain… but it is beautiful…. 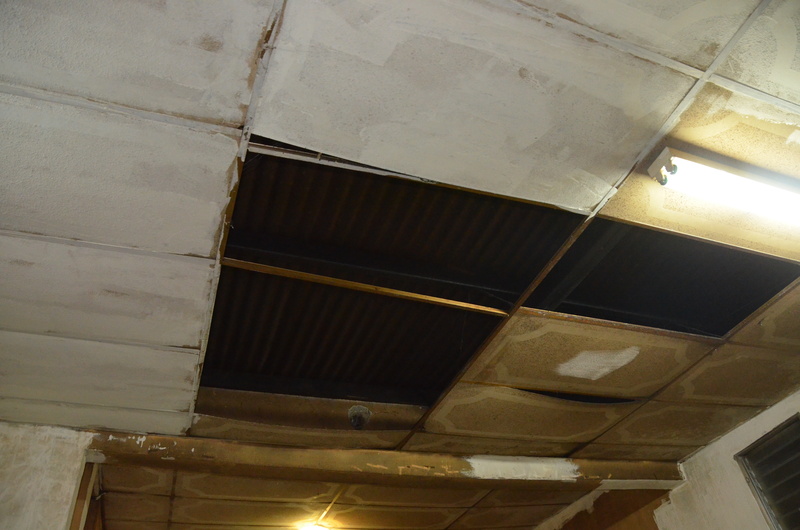 We are doing many construction projects and renovations at the hospital. 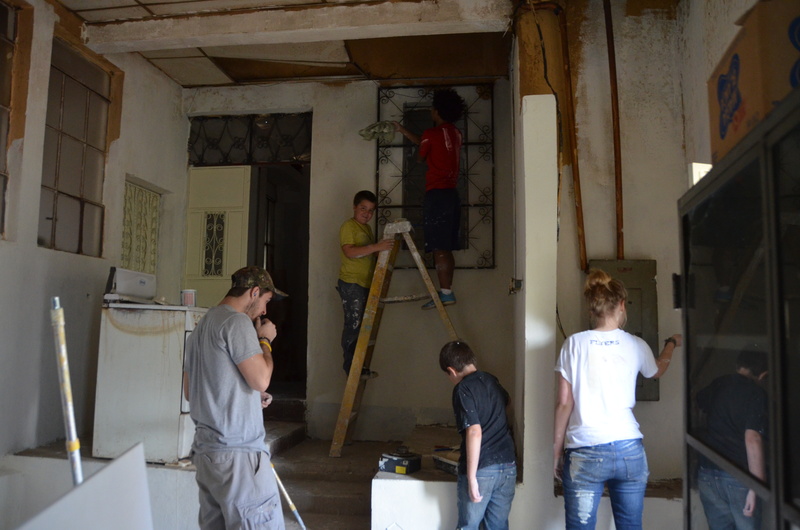 New bathrooms… new dorm rooms for the new novitiates (girls training to be nuns and studying medicine etc to help serve the poor), new ceilings in the hospital, a chicken coop so the Hermana’s can both eat and sell chicken for money and other necessary things as well. There is so much need surrounding the hospital building itself. 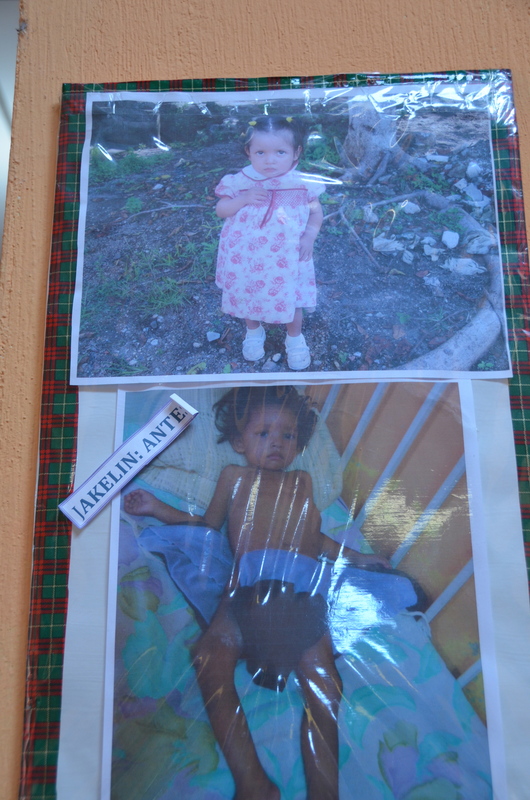 And we are trying to fill that need so that children like Marquito can have a chance at life. If you are ever wondering what happens to the money we fundraise for…. please consider coming and seeing for yourself…. meeting the people and putting faces to the names… building relationships…. there truly is nothing like it. 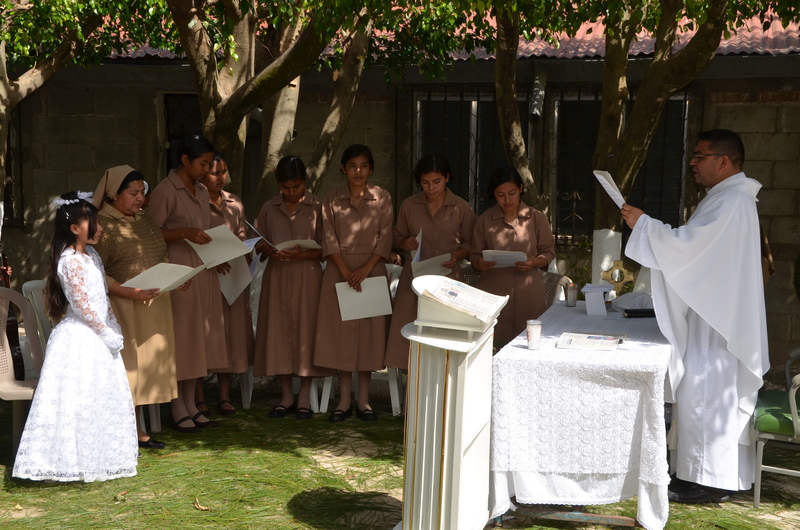 On New Year’s Day, we sat and shared in the celebration here of 6 new Novitiates joining Hermana Mercedes Order of Nuns. We listened as they took their vows…. vowing to serve God and being the hands and feet of Jesus by giving up their secular lives to serve the poor for the rest of their lives. They will over the coming years, study to become doctors, nurses, teachers and other professions that can be useful in their mission. 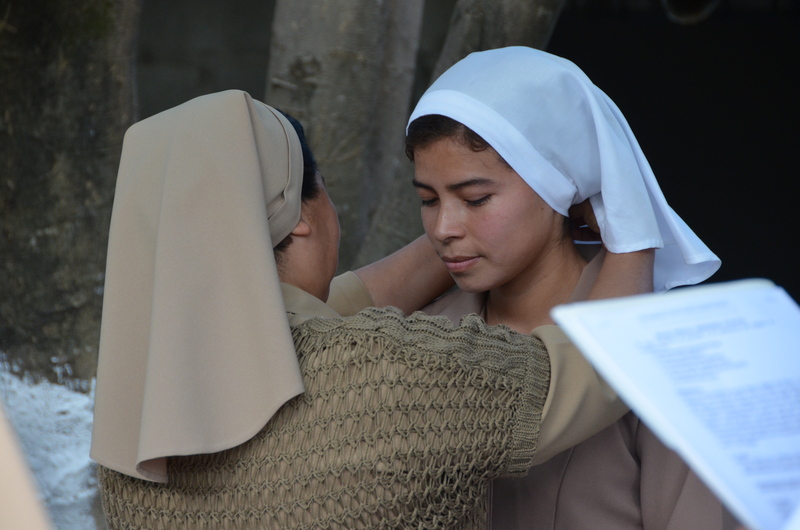 As I sat there and watched Hermana Mercedes present each one of the young girls with their first white veil, I was struck by the sheer magnitude of sacrifice these women make. They will never do most of the things every other girl does…. they will simply serve…. if there is no money for food… they will feed the children recovering there but they will not eat themselves… they will never date… they will never kiss a boy… they will never own a car… they will never do or have so many things…. but they will have so much more. I cannot explain the feeling of being here… The feeling of serving others… I try, but I fail. I cannot seem to convey what I want to say. I realize now its because its something you have to experience for yourself…. These nuns are hero’s. True inspiration… they inspire me every minute of every day to do more. 6 months a year here is not going to be enough. I will work full time and tirelessly when I am back in Canada…. tirelessly to raise more money… there is still so much to do…. and it is so incredibly important that it gets done. I will not give up. I have hope…. 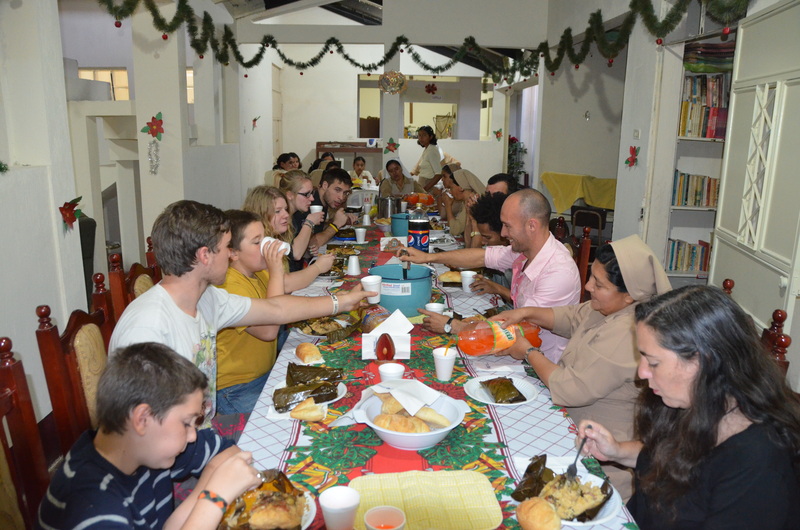 Hermana Mercedes shared a meal with us on New Years Eve…. she spoke once again to us about her dream of having many malnutrition hospitals and serving the poor in all the countries of Central America…. 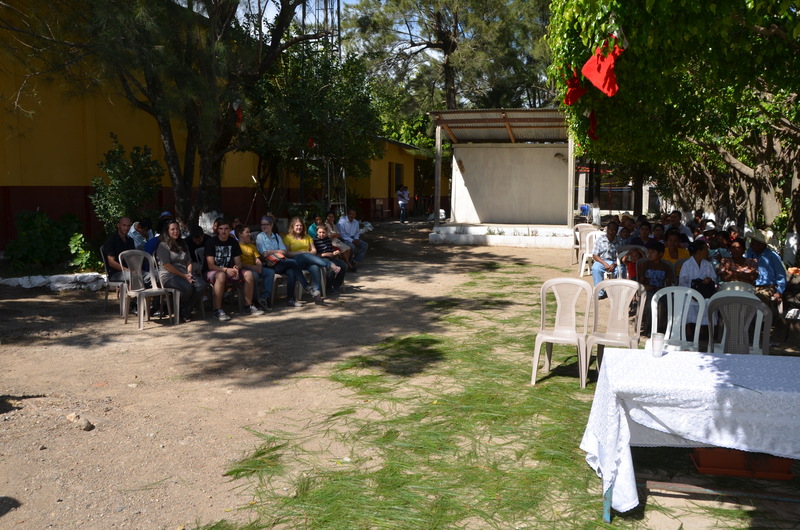 She said, “My hope is that, with God in front we can walk beside your family & the people of Canada across Central America to serve the poor”… I share that hope too…. what about you? Hope can become reality when people like Rachel step up, give and work hard…. There is still so much to do here and without people giving none of it can happen…. Personally I want to see all the forgotten Marquito’s of the world have the same opportunities that my sons and other children of the developed nations have…. I know that with God all things are possible. Let Him into your heart and together, with Him leading, we can walk side by side across Central America, bringing hope to the poor and making lives better…. Our New Year’s Resolution is to make this hope a reality…. Give, serve and sacrifice……You with us? Before and after picture of a recent patient that is now home & healthy! Jessy, Jazmin, JD & Rachel had a blast visiting with the other patients in the hospital. 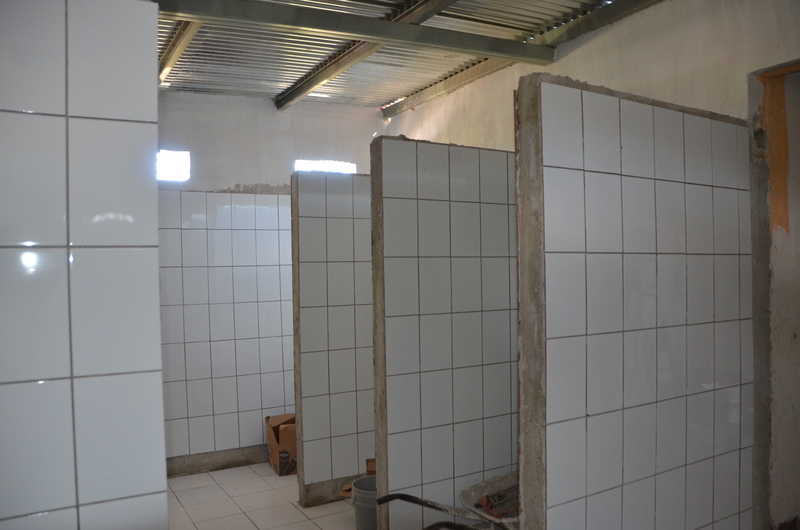 New bathrooms.... up until now, all the Hermana's shared 1 bathroom...... not anymore!!! 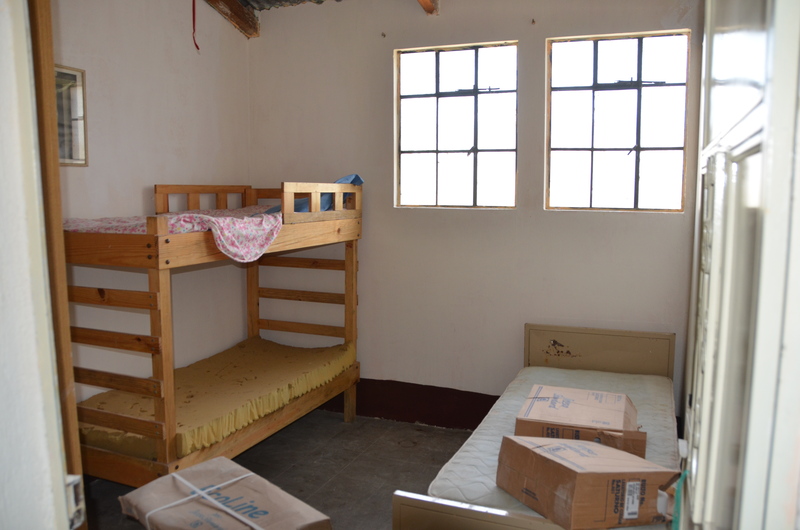 Brand new dorm room for the novitiates. 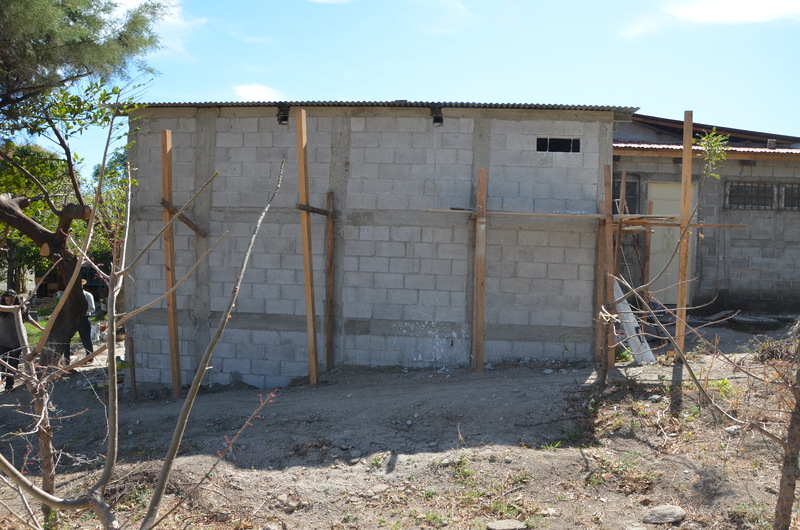 The new addition from the outside... so thankful that people are giving so some of these much needed renovations can be done... still a long way to go so keep on giving!!! 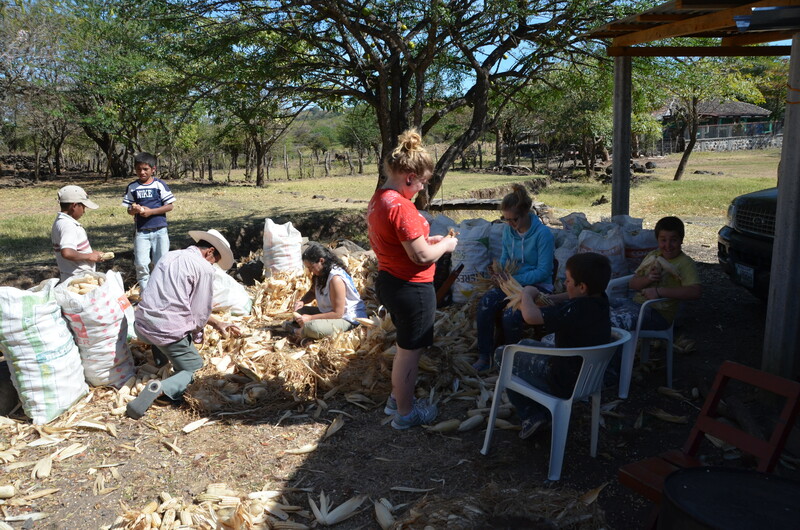 Jazmin, Rachel, me and the boys husking 4000 cobs of dried corn... it will be dried more then ground into corn flour and given to the poor. 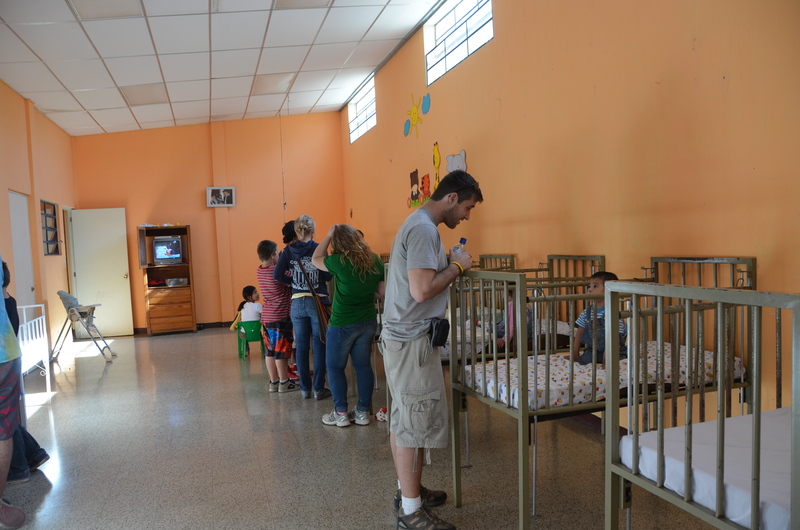 Posted on January 4, 2012, in Guatemala Missionary, Uncategorized and tagged celebrate life, Guatemala, Malnutrition, mission, Missionary, Volunteers, World Impact. Bookmark the permalink. 3 Comments. Thank you so much for sharing this and all your experiences. OMG… literally 🙂 I would really like to become more involved. How can I help? Rita…. it is only days before I join you and the family to share in your experiences…and I am filled with tears of joy and hope. You are succeeding in insurmountable ways. Your humility is breathe-taking!!!! I see and feel so much from your words. Your spirit feeds, even though I am so many miles away!!! I look forward to being in your presence because I know that the spirit of you and your family will only feed nime. Our combined power will be unlimited!!!! I am with this cause for life.I know it and more importantly I feel it. See you Monday!!! Much Love and Power, Matthew. WOW wonderful story…you actually do write well for as I read I can feel the emotions….thanks for sharing and take care! !